To match up the varying demands of the clients, we are engaged in offering extensive array of Motorized Guillotine Dampers to our valuable customer. All our offered range of products has been made using the best technology. Our offered range of Motorized Guillotine Dampers is excellent in quality and well tested on different quality parameters. They have been priced at very reasonable rates in the market and they are available as per the demands of our customers. We have always given extra fine finishing to our final product range. With the help of our advancement in technology, we are providing an exclusive range of Isolation Guillotine Damper in the industry. We believe in customer satisfaction so we finely processed our entire products range including Isolation Guillotine Damper and offer it in affordable prices to our customers. This Isolation Guillotine Damper is available as per the specific demands of our valuable customers. 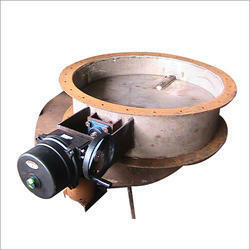 Our product range is widely demanded in different other industrial sector. Our expertise lies in designing and developing Guillotine Dampers with optimum quality. 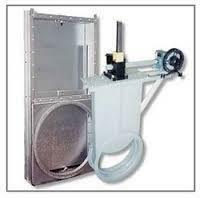 These offered products ensure 100% sealing efficiency with/without seal air fan. We manufacture huge quantities of the single-thickness flat plate blade that its also known as Guillotine Dampers. These dampers are featured with peripheral-seal system for stopping gas leakage at all stages of blade movement and to give support to the members for the blade. Along with this, these products are provided with a drive to move the blade steadily and continuously from open to closed and back again. Compact design of these dampers demands less space and less maintenance. We also make them resistant to various damages that can occur from furnace puffs and mild over pressure incidents. Looking for Guillotine Dampers ?